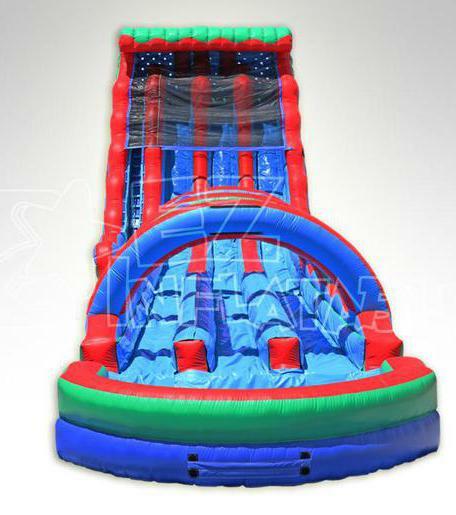 The 26ft Inflatable Triple Lane Water Slide is excitement for THREE people at a time! Everyone loves racing their buddies down a dual lane water slide, with this slide Three people can now race down at one time. The Triple Lane Water Slide is over 26ft tall with a steep sliding platform and a pool at the end of the slide.